Expansion has always been part of the long-term plan and vision. At this time, we offer educational exhibits and programs on the ground floor of our 150 S. Main Street location. The need for additional space has become a great priority and we are eager to maximize the full potential of this 3-story, 33,000 square foot facility. With two upper floors available and ready for build-out, the time has come to start the climb. This requires a significant fundraising effort and thanks to community support, we are making progress. What can you expect on the 2nd floor? At first glance, you will see that there is a lot of open space! That's okay as this is a work in progress and it means that we finally have extra room to grow. Check out the Discovery Tree House. You will love the view perched high up in the treetop. Along with an amazing airways interactive, children can have fun with whisper tubes, a periscope, a giant microscope, building toys and making their way through a rainstorm to chase away the clouds. 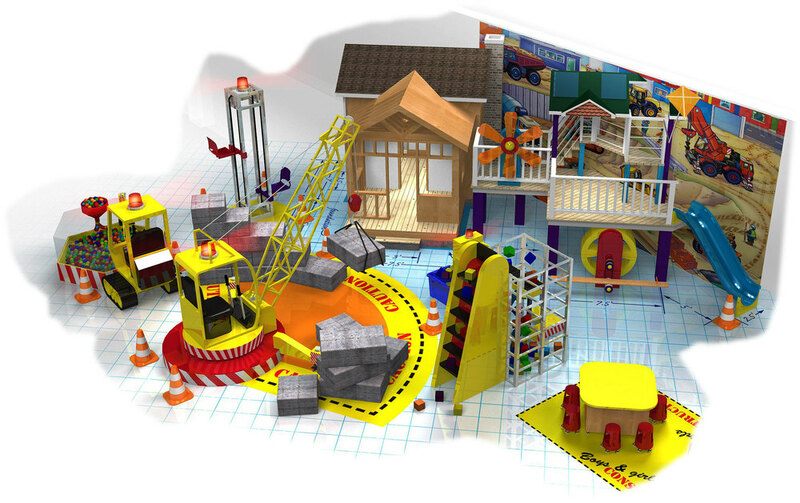 The Imagination Playground offers hours of building fun. The big blue blocks can transform into anything you can imagine and we have a big set thanks to a grant from our friends at CarMax and another anonymous donor. Games Galore is a temporary exhibit area with a variety of games to enjoy with family or friends. From a putting green to Giant Jenga to checkers and tangrams, there are activities to test your coordination and brain skills. The Maker Space is an area designed specifically for children ages 8+. Filled with work benches, computers, a laser cutter, sewing machines, real tools, art supplies and materials needed to MAKE! We are looking for volunteers so please let us know if you have skills to share (electronics, woodworking, graphic design, fiber arts and more). We recently installed the Dynamic Aviation Airplane to anchor a future aviation-themed exhibit. Children and families can climb into the cockpit and travel anywhere their imagination takes them. We are continuing our fundraising efforts toward a fully-designed exhibit gallery. A 2nd early childhood areas is now available for children under the age of 3. Wonderwoods features a variety sensory experiences, gross motor activities and literacy rich opportunities designed to meet the needs of our youngest visitors. Our future vision still includes a complete aviation area, a construction zone/quarry, and an interactive ball maze with a focus on financial literacy. This will take more funding and time. In the meantime, we'll do our best to offer activities and programs along with plenty of room to stretch out and Explore More! Please share YOUR IDEAS with us. How about the 3rd floor? When complete, the 3rd floor will serve as a Community Education Center housing classrooms, cooking lab, and multipurpose space. It will provide opportunities for unique community partnerships. See conceptual renderings below. Want to learn more about the expansion and how you can be involved? Contact Lisa Shull at lisa@iexploremore.com. The 2nd floor Arts & Innovation area opens the door to more interactive exhibit galleries! Explore in the tree house, fly the airplane, create movies, woodworking projects and art! There are three more exhibit galleries from our master plan that need to be funded - an aviation gallery, construction zone and financial literacy ball maze. Let's work together to make it happen...imagine our future!! The 3rd Floor Community Education Center will provide greatly needed multi-purpose space for educational programs and special events. Two new classrooms and a kitchen facility will offer unique opportunities to expand enrichment offerings. EXPLORE CULINARY ARTS: This spacious kitchen will provide opportunities for children and families to prepare nutritious, delicious foods together. From cooking classes to guest chef events, this is a place where food connects us to our community and each other. THE GREAT HALL: Multi-purpose space for performances, traveling exhibits, receptions, conferences, and educational community events—a unique setting day or night! EDUCATIONAL CLASSROOMS: Two innovative learning spaces offer the perfect destination for school field trips, enrichment classes or community meetings and programs.